Do you have an outdoor wedding? Take advantage of the beautiful weather and gorgeous venue by kicking back and playing some lawn games with your guests! You can even incorporate your own, unique wedding theme or colors into the games! 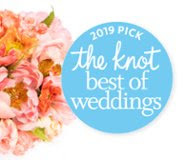 Ring Toss: Create your own ring toss game with painted glass wine or soda bottles that incorporate your wedding colors. Corn Hole: Turn this fun lawn game into a great wedding game for everyone! You can customize your own boards with your wedding date, wedding colors, new last name, etc. and have a memorable game to use in your own yard for years to come. 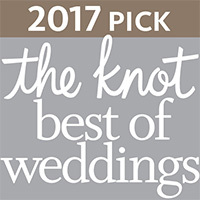 Giant Connect Four: Make this well-known game into a giant size and customize the game pieces into two of your wedding colors. Badminton: Set up a net and let your guests bat the birdie back in fourth! For nighttime, you can string lights to the net. Giant Checkers: Either spray paint the grass, use chalk on the pavement, or roll out a checkered game board rug! Ladder Golf: Another popular lawn game where teams throw bolas which are two golf balls attached at either end of a nylon rope at the ladder. Giant Jenga: Add “Did You Know” facts about the bride and groom on each jenga block to add to the fun! 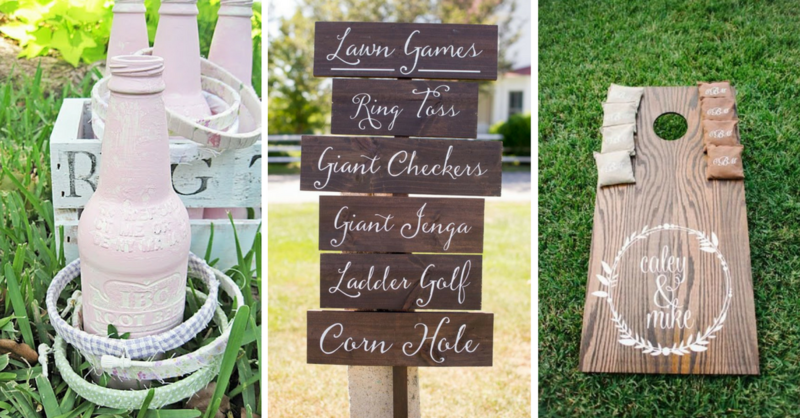 Take the stress away and have some backyard fun with your friends and family and make your special day one to remember!